Construction is exhausting work. Sometimes being tired at the end of a work day will lead to an error of judgement that causes a “disaster”. Unfortunately this happened while pressure testing the new drains for the first time. It was at the end of the day and I wanted to see if the pipes would hold water. I didn’t fully understand how the pressure test would work with the drains in the upper part of the house. So I plugged the tub so that the water would not come up through the tub and started to fill the drain pipes. This was the first time I had ever tried filling a drain system. Even when a plumber connected the drains in our first house, he never tested them with back pressure. The code calls for 15 minutes of .5 psi pressure applied to the drains to pass inspection. This can be accomplished by installing a test tee at the end of the line and plugging it with a test ball which is inflated to fill the pipe. The water is supposed to back up into the vent up to 10 ft above the drains to put the required pressure on the pipes. I had in mind that it would back up but not in the upper bathroom above the tub level. After I turned on the water to fill the drains, the pipe seemed to be taking a long time to fill so I left the house and went outside on the roof to see if the vent pipe had water in it. I could hear the water but it did not seem to be rising to the top. Then I heard the workers calling me inside. We heard water streaming out under the crawlspace so I turned it off. But when we went up the stairs to investigate there was over an inch of water all over the bathroom and bedroom floor. What a shock! 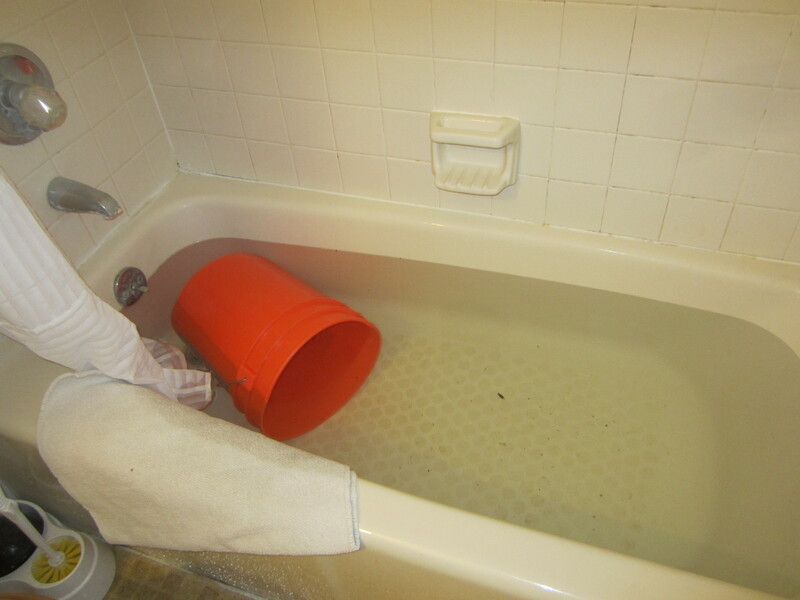 The tub had overfilled with water through the overflow and poured out all over the floor. It only took about 30 minutes to soak up all the water but the damage to the insulation under the floor was done. I briefly peeked into the crawlspace and poked the paper that was hanging low and a stream of water came running out of the insulation. Now that will also have to be replaced and probably sooner rather than later. 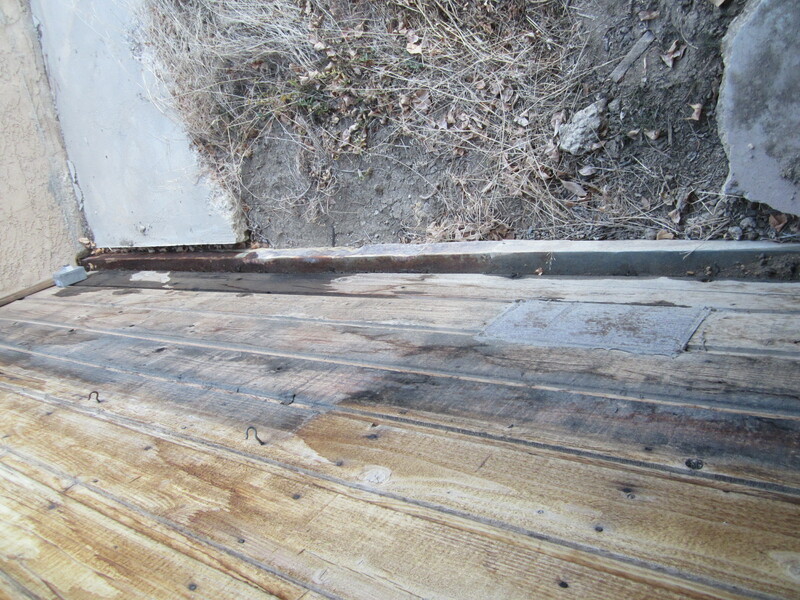 Water leaking outside along foundation.